The decision to support the charity was made at a meeting of North Norfolk District Council’s cabinet. In addition to a Norwich trail of Hare sculptures called GoGoHares, Break is for the first time establishing a countywide Moongazer Trail. Sponsors are being sought for the event, which will start on June 24 and run until September 8. NNDC has agreed to sponsor two hares and set aside £15,000 to cover the project. There will be an app for each trail and a map available to download. There will be a reward for completing the entire trail – each plinth will have a 4-digit code to collect. All of the city trail hares will have their ears pointing upwards, whereas all of the county trail hares will be looking up to the sky – or gazing up at the moon – with their ears flat against their backs. This entry was posted in Cromer, Holt, Home Page, North Walsham, Sheringham and tagged Break, Charity, coast, go go hares, North Norfolk District Council on October 19, 2017 by Gay Webster. 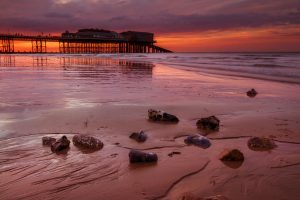 North Norfolk District Council’s public art gallery is showing work by local photographer Paul Macro. The Inspired by Norfolk exhibition highlights the sights of the Norfolk coast with its dark winter skies, rough seas and fiery sunsets. 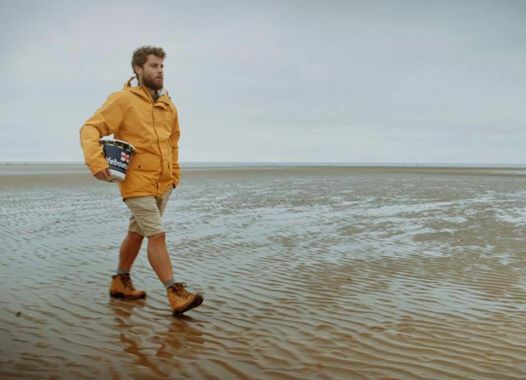 “The sights, sounds and smells of the Norfolk coast are woven into my soul and my happy childhood is a bright tapestry of memories,” Paul said. “I’m a Norfolk man, born and brought up in Norwich, and seaside holidays at Burnham Overy Staithe played an important part in my childhood. “Several times a year, at all times of the year, my family spent holidays and weekends in our caravan, where the beauty of Norfolk’s unspoiled beaches and wide skies provided the backdrop to our other world, where there was peace and contentment and sibling harmony. Paul is proud that his work has helped local charities, and he has received orders for his charity calendars from every continent. 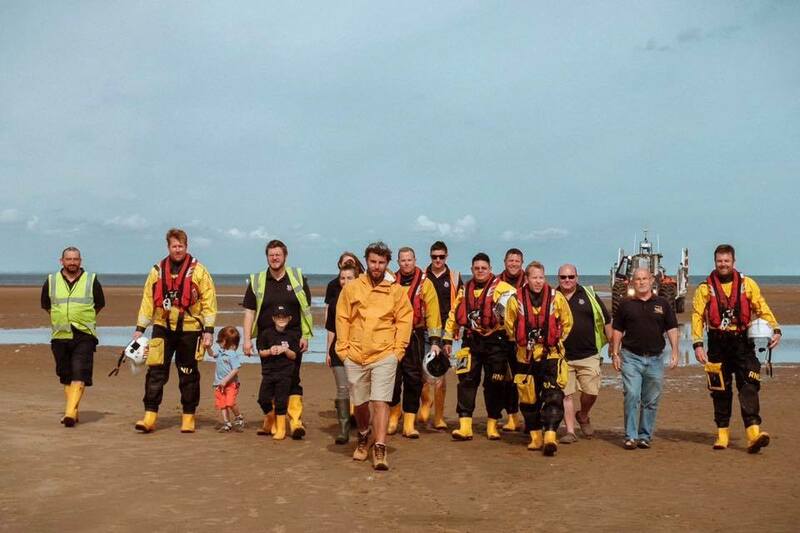 The RNLI, Nelson’s Journey, Break and Red Balloon are amongst the charities that have benefited from his support. “My life has been shaped by the landscape and the people of Norfolk and this is my way of giving a little bit back,” he said. The exhibition runs until September 13 at the NNDC offices gallery in Holt Road, Cromer. The 1st Floor Gallery is open to the public 8.30am-5pm on Mondays, Tuesdays and Thursdays; at 10am-5pm on Wednesdays; and at 8.30am-4.30pm on Fridays. Any inquiries about the pictures, which are for sale, should be made to Paul through his website at www.paulmacrolandscapes.com, via info@paulmacro.com or by calling 07727 644092. This entry was posted in Cromer, Holt, Home Page, Sheringham and tagged art, coast, Cromer, North Norfolk District Council, photography, Sheringham on August 23, 2017 by Gay Webster. 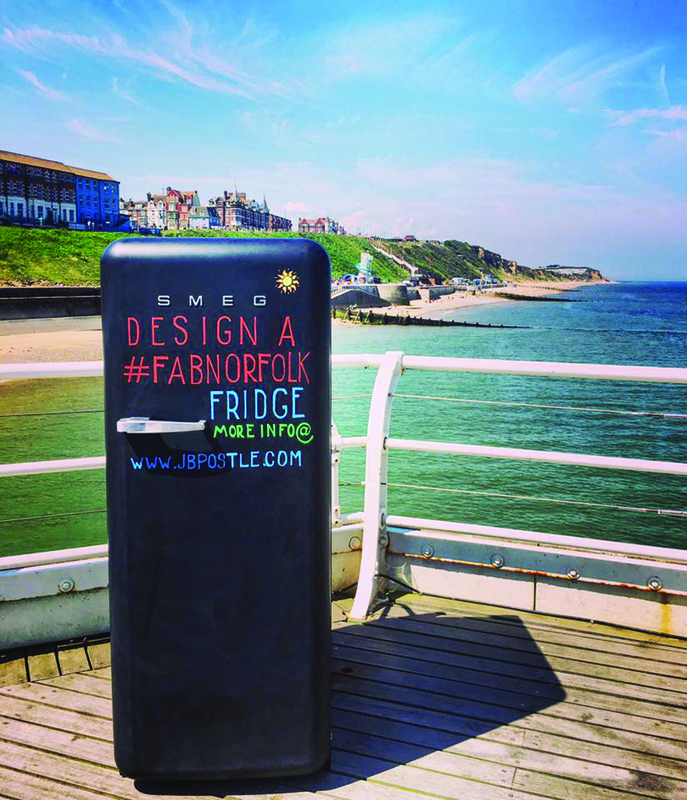 Electrical retailer JB Postle has a cool competition with a Norfolk theme this summer. They want people to make use of their artistic skills to create a wrap-around design on a Smeg fridge. The only criteria is that the design has to be Norfolk linked hence #FabNorfolk as the competition title! The competition, which runs now until September, has two winning categories – an individual entry and one for organisations. The group category could mean a business, charity or sports organisation and you can enter as many times as they wish! The individual winner will receive a bespoke day or night out in Norfolk for four people worth at least £200 and will depend on the interest and age of the individual winner! It could be anything from a trip to the zoo or a night out on the town! Whatever you choose, you are guaranteed to have fun in our home county! The group design chosen will receive £200 to donate to a local Norfolk charity of their choice, so if you want to raise money for an important cause, get your thinking hat on! “We wanted a way to engage with the community and celebrate our wonderful county so we thought this would be a great way to find out what Norfolk means to people whether they live here or are visiting” said Nikki. 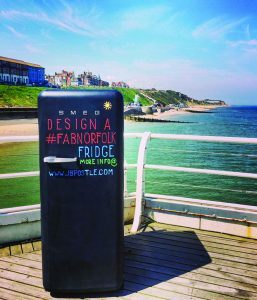 JB Postle have a Smeg blackboard fridge which has been touring JB Postle’s local branches in Aylsham, Cromer, Sheringham and North Walsham and has even been seen on Cromer Pier. 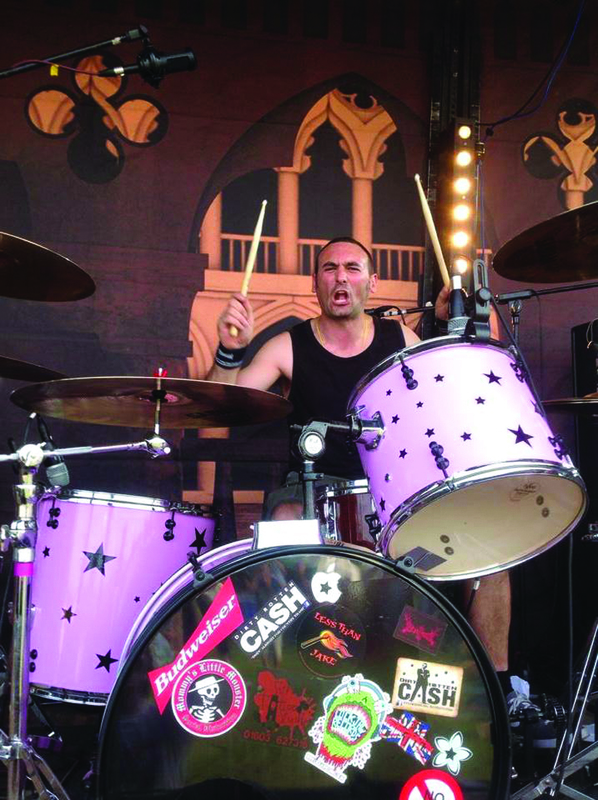 The team will be taking the fridge to Worstead Festival on July 29 and 30 where there will be some surprises on the day and a chance to take part in the competition. Nikki said any business which might like to have the fridge to visit them should get in touch to give staff the chance to get artistic with chalk pens. 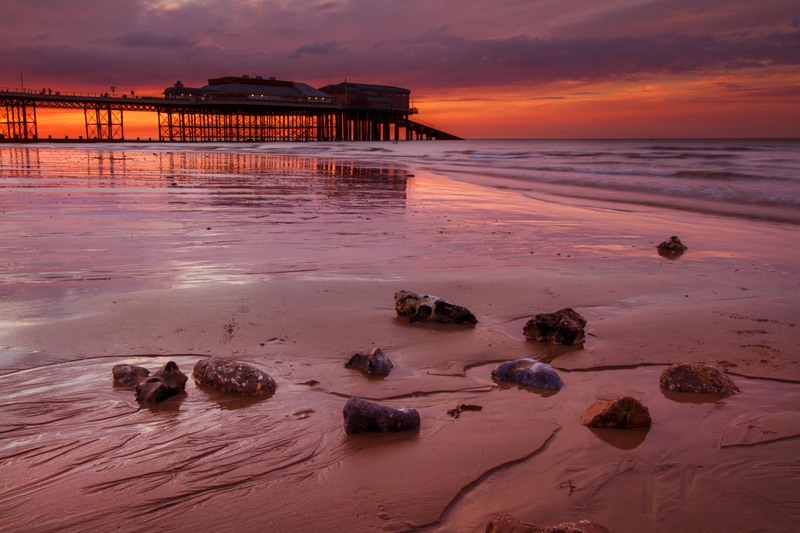 The competition was launched on Cromer Pier and entries have now started to come in. 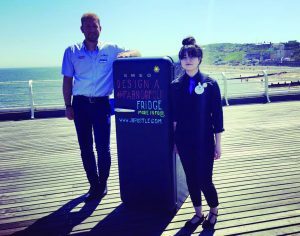 Call the Cromer store on 01263 512134 to find out more about hosting the Smeg blackboard fridge and if you would like to volunteer as a competition judge, call Nikki on 01263 735326. This entry was posted in Aylsham, Cromer, Drayton & Taverham, Eaton & Cringleford, Hellesdon, Holt, Home Page, North Walsham, Sheringham, Sprowston, Wroxham and Coltishall and tagged coast, competition, fridge, norfolk, Postles, Smeg on July 12, 2017 by Gay Webster. The Cromer and Sheringham Crab and Lobster Festival has handed over grants totaling £5,080 to local charities and organisations. The money, raised from the sale of more than 100 decorated beach huts at last year’s festival auction, was distributed between 25 groups. Representatives from each organisation were joined by members of the festival’s committee at a presentation on January 29 at The Constantia in East Runton. Festival chairman Tony Shipp opened the presentation by thanking all those who had helped make the festival and auction in 2016 such a success. The organisations who received grants from the scheme were: The Cromer Mardlers, Sheringham in Bloom, Back to the Drawing Board, Sing Your Heart Out, Ladybird Pre-School, Playing for Cake, Love for Leo, Sheringham Museum, Banningham Defibrillator Fund, Cromer Christmas Lights Volunteers, 1st Cromer Sea Scouts, Friends of North Lodge Park, Cromer RNLI, Waveney Stardust Trust, National Coastwatch Institution – East Runton, Cromer Academy, Cromer Exhibition Foundation, Sheringham Woodfields School, Cromer Carnival Security Team, Sheringham Playpark Revamp, Roughton Under 5s Playgroup, Cromer Girl Guiding, Sheringham and Cromer Choral Society and Cromer and District Garden Society. 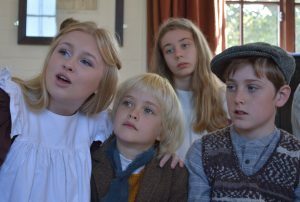 Many of the projects which were successful will be working will local children including 1st Cromer Sea Scouts (funding to refurbish the hall), Sheringham Woodfields School (funding to introduce sensory lighting), Cromer Girl Guiding (funding for hall maintenance) and the Cromer & District Garden Society (funding their annual Schools Garden Competition). The festival will be announcing details of their annual art trail for 2017 in the coming weeks. 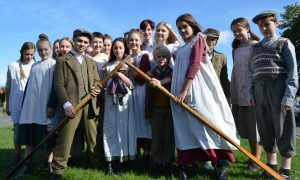 The 2017 festival will run 20-21 May 20-21. Sponsorship opportunities are now available. Please contact enquiries@crabandlobsterfestival.co.uk. This entry was posted in Cromer, Home Page, Sheringham and tagged Charity, coast, Cromer, festival, Sheringham on February 1, 2017 by Gay Webster.